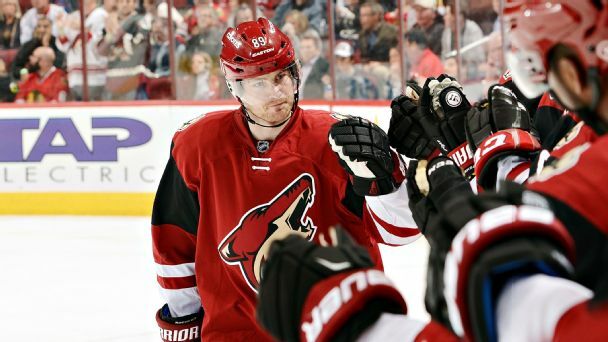 Scott Burnside and Joe McDonald break down the speed and skill Mikkel Boedker brings to Colorado, which acquired him in exchange for Conner Bleackley, Kyle Wood and veteran Alex Tanguay. 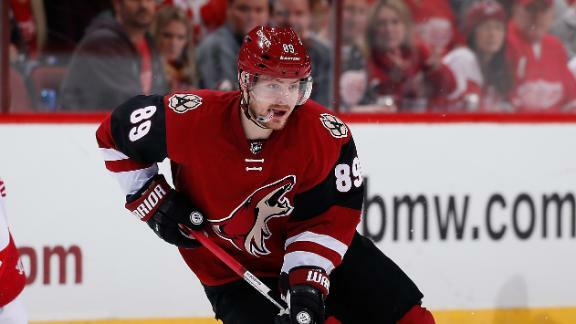 Mikkel Boedker can help Colorado's recent power-play woes, but is the team deep enough defensively to keep up in the Western Conference? 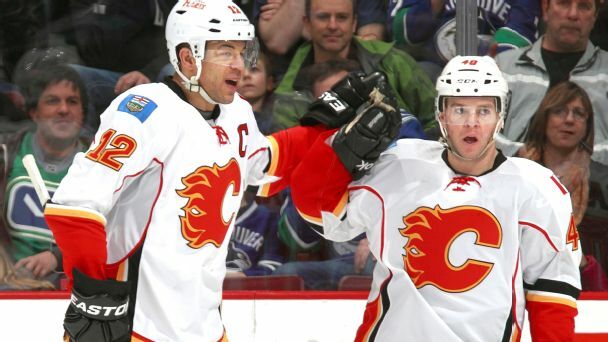 Jarome Iginla and Alex Tanguay became fast friends and found on-ice chemistry in Calgary, so of course Tanguay recruited Iginla to help him mentor a bevy of talented youngsters in Colorado. Now that the real games are being played, it's time to see who looks good, who looks bad and who is already hurting. 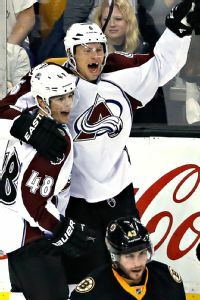 Left wing Alex Tanguay will undergo hip surgery on Friday and miss the remainder of the season, Avalanche head coach Patrick Roy said after Thursday's practice. 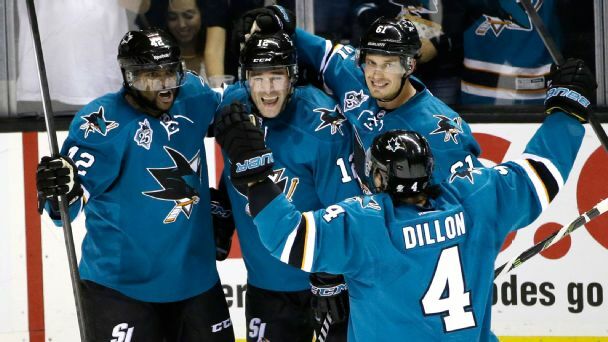 John Tortorella will have some explaining to do Monday at the NHL offices in New York. The Canucks coach reportedly has been summoned to give his take on why he started a scrum outside the Flames locker room on Saturday night. It won't be long now. 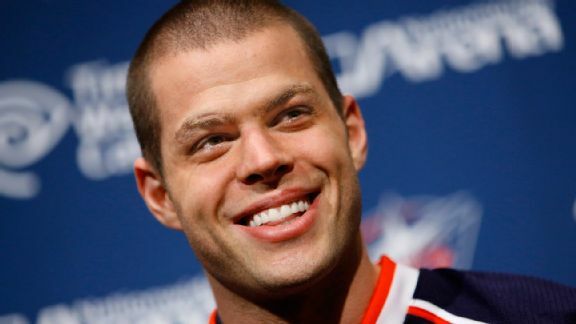 After months of remaining patient, the Columbus Blue Jackets are in line to receive a prized post-holiday present, early in the new year. 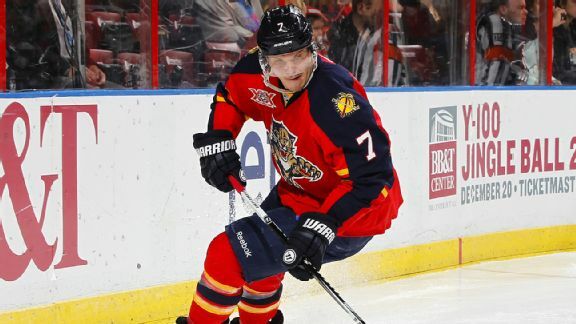 A former first-round draft pick with the Florida Panthers joins Michael Del Zotto of the New York Rangers, Dmitry Orlov of the Washington Capitals and Jake Gardiner of the Toronto Maple Leafs on a short list of promising, young defensemen rumored to be on the NHL trade block. The Colorado Avalanche will be without forward Matt Duchene for at least a week with an oblique injury.